The Page Of Life album was composed during 2009-2011 in a home studio. 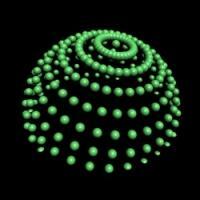 The genre is still electronic chillout as a previous album Dream Element. Most of the instruments used are VST plugins sequenced in Cubase, in addition to Virus B synthesizer and Electric guitar. All tracks were composed and arranged by me except track no.9 that was composed by my sister Anna 25 years ago and recreated in 2011 from my memory as a child. And also track no.2 that was inspired by Russian old movie Michailo Lomonosov. The Painter of the "Music Worlds" returns! 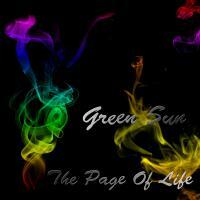 Green Sun a.k.a Michael Hefetz came back with very contemporary New Age album - "The Page Of Life". This album has so many of Green Sun's trademarks mixed in. Above all, he has an elusive individualistic signature as a composer in all of his music that is almost impossible to describe. It's like a scent. "The Page Of Life" is a mix of chill-out, electronic, new age, and a range of ambient styles. Into this mesmerizing core Green Sun drains his majestic blend of reverbed piano work. Fluid soothing pads lines accompany expansive and relaxed passages and there is frequent application of real attitude in the guitar work that welds perfectly with the mood. The sign of a very diverse musician is that he can upset some of his fans all the time, and Green Sun certainly does that. Which ones get upset varies with each of his unpredictable works. But it is consistent with his artistic integrity that his fans, who may spend their other listening hours on anything between sugar pop to classical or hard rock to minimalism, still find that each album grows on them as their ears peel back the layers and find magic beneath the surface of whatever new clothes he has adopted with each new incarnation. On this collection, Green Sun demonstrates touches of purity and simplicity with his piano work, such as the calming 'Light & Shadow' and the touching 'The Frozen World'. Simplicity is one of his virtues. But he turns the special powers on for the awesomely constructed and lyrical "Timeless". This album is an excellent front door in for those who listen to mainstream or contemporary music and who like to have something that challenges the ear with each new piece.